Motivated Seller! If your dream is country living in the Garrett School System look no further. 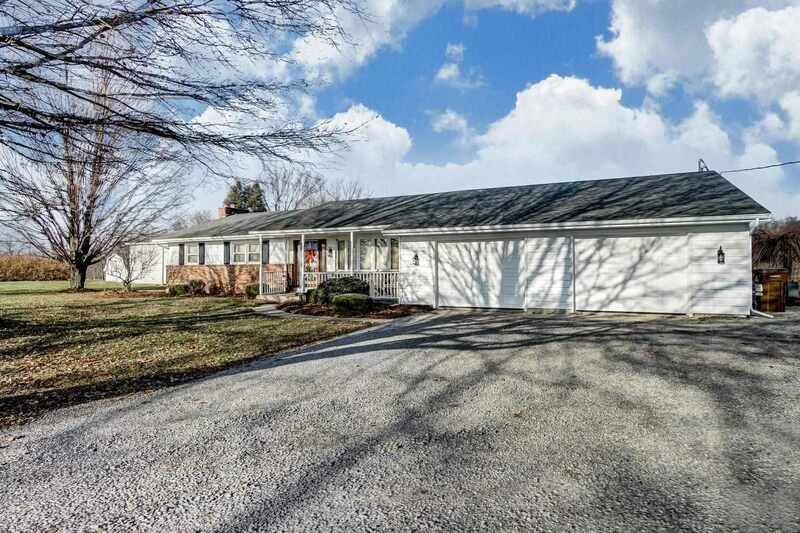 You&apos;ll love the privacy and views of your 3 acre ranch home with finished walk out basement. Enjoy an over sized 2 car garage and detached pole building 40x30, featuring a man cave or she shed. The extra space in the pole building includes a kitchen, living room, bedroom and bath. Special amenities include an above ground pool, 2 decks, floored attic, formal dining room and patio. The home is wired for a generator, features 2 decks and fenced in back yard along with newer window and flooring in the laundry, new sliding glass door and newer hot water heater. The appliances in the Guest House/Rental will stay, which includes Refrigerator, Electric Range, window treatments and Stack washer and dryer. Great location. Immediate possession!